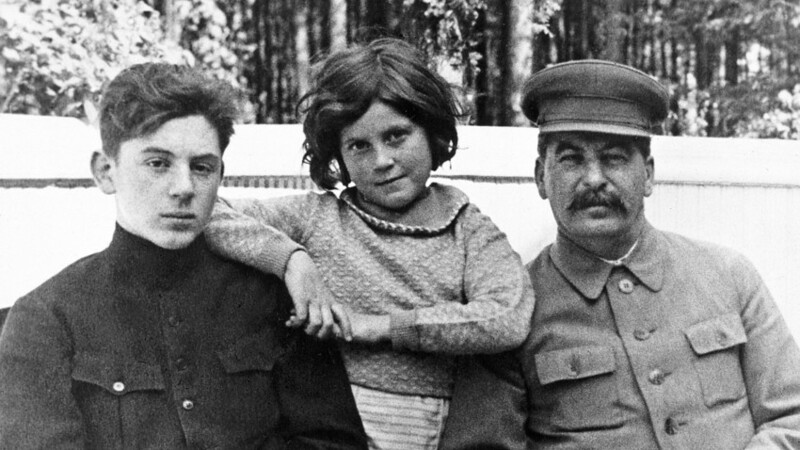 In Stalin’s shadow: How did the lives of his family turn out? Joseph Stalin (1878 – 1953) was perhaps the most dominant man in the history of the USSR, a leader with absolute power. Nevertheless, closeness to such a paramount figure didn’t bring happiness to his nearest relatives. Joseph Stalin’s name sparks controversy in Russia even now, as some people consider him a patriotic hero and others curse him as a paranoid villain. If there’s a thing most agree on, it’s the fact, Stalin was hard to deal with – even for his relatives. Let’s take a look at the fate of four people closest to the leader. Stalin's first son Yakov Jugashvili was captured by Germans during WWII and did not get back alive. 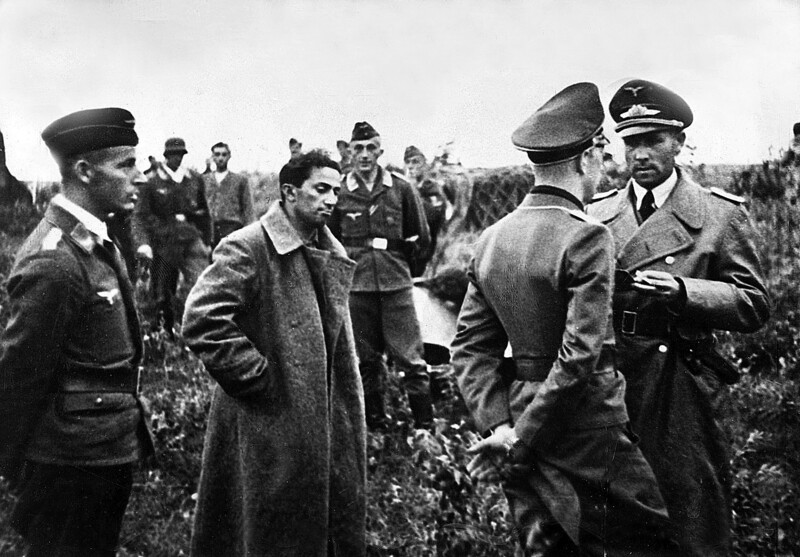 Here he is portrayed surrounded by German officers. According to Simon Montefiore’s biography Young Stalin, the future ruler adored his first wife Kato Svanidze whom he married in Georgia in 1906 and who died of to typhus 16 months later. Inconsolable, he jumped into her grave during the funeral and guests struggled to get him out. Nevertheless, after the episode Stalin let Yakov live his own life. When Russia entered WWII in 1941, Yakov, an artillery officer, joined the Red Army (under his father’s real surname) and was captured after a month. He refused to cooperate with the Germans. Yakov was killed in 1943 when he ran from a guard. Historians argue whether it was an escape attempt or a desperate suicide. It’s also unclear whether Stalin grieved for his unloved son. Nadezhda Alliluyeva (1901 - 1932), the second wife of Joseph Stalin and mother of his children Vassily and Svetlana. Stalin married Nadezhda when she was 18 and he 39 – Alliluyeva fell madly in love with the charismatic revolutionary. Becoming the ‘first lady’ of the USSR, and as her husband gripped power in the 1920s, Nadezhda concentrated on domesticity. She raised Yakov as well as her own children Vasily and Svetlana (born in 1920 and 1926), and their foster-son Artem Sergeev. Family life wasn’t easy. Stalin and Nadezhda constantly had fights. At the same time, there was love between them – at least according to the letters they exchanged. “I kiss my Tatka (short for Nadezhda) so hard. Your Joseph,” he used to write. On the other hand, their foster-son Artem Sergeev claimed politics had nothing to do with the tragedy. In his version, Nadezhda was suffering from incurable headaches and couldn’t stand it anymore. 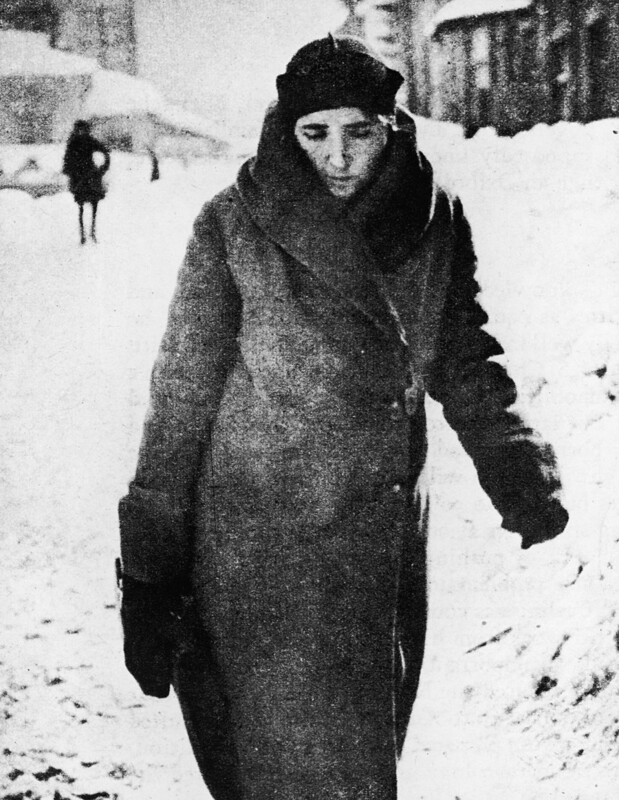 She shot herself on November 9, leaving Stalin devastated. 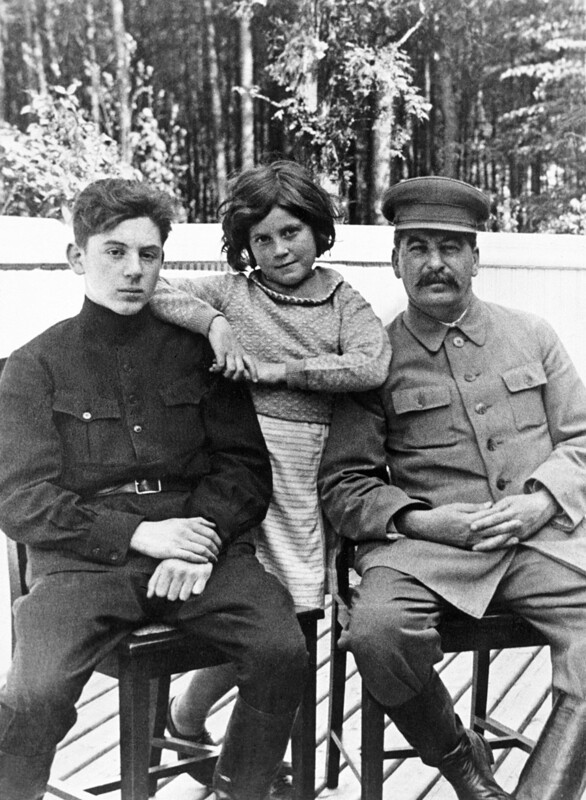 Vasily Stalin (left) with his father and sister. Unlike Svetlana, Vasily didn't enjoy father's tenderness much. When Nadezhda shot herself, her son Vasily was just 12 years old. His father became even more withdrawn after his wife’s suicide and concentrated on politics, paying almost no attention to Vasily’s fate. “We lived badly,” Stalin Jr. would briefly recall later. Left on his own, the young man started to drink, which would be his downfall. Nevertheless, he was a talented pilot and served his country during WWII. Fellow pilot Sergei Dolgushin said Vasily showed himself a brave and diligent commander. After the war, in 1948, Vasily was appointed the commander of Moscow Military District’s Air Force and remained in this position until 1952, when terribly drunk he attended a banquet and provoked father’s anger. Stalin fired Vasily which only led to heavier drinking. Things went completely downhill after Stalin’s death in 1953. After a dispute with new leadership, Vasily was arrested and spent seven years behind bars as an ordinary prisoner. He lived less than a year after release and died from alcohol poisoning in 1962. 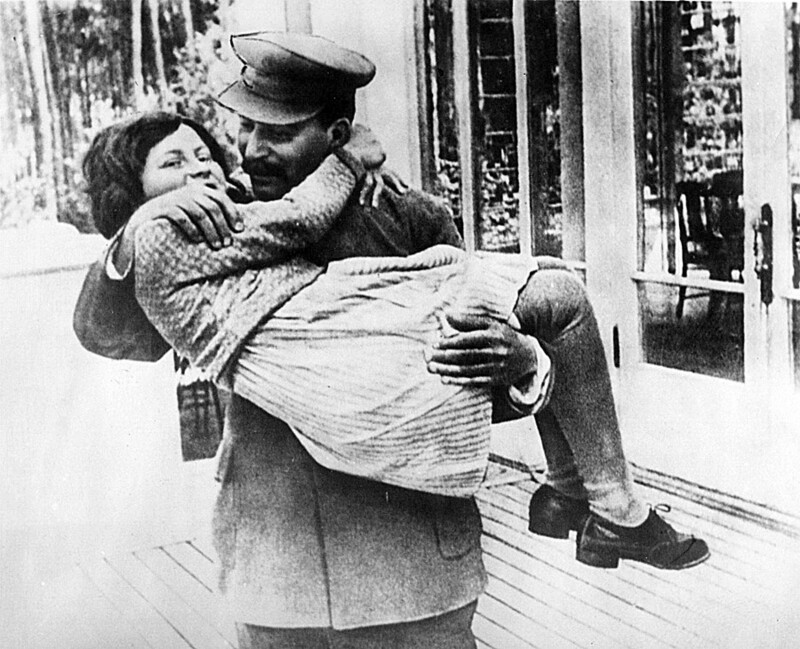 Joseph Stalin holding his daughter Svetlana Alliluyeva. Father and daughter used to be close but only when through Svetlana's childhood. “I always hated Soviet Russia,” Svetlana Alliluyeva, Stalin’s daughter, said in one of her interviews. Her attitude toward her own father was also negative. Though she recalled his tenderness during her childhood, Svetlana never forgave him his will to fully control her life. Not only did he order Svetlana on which job to choose, but when she fell in love with an older man, Stalin also got so furious he dispatched the suitor to a concentration camp for five years. The father-daughter relationship was ruined. After Stalin’s death, she dreamed of leaving the country. When Svetlana’s 4th husband, Indian Communist Brajesh Singh died in 1966, she was allowed to visit India to pour his ashes into the Ganges. 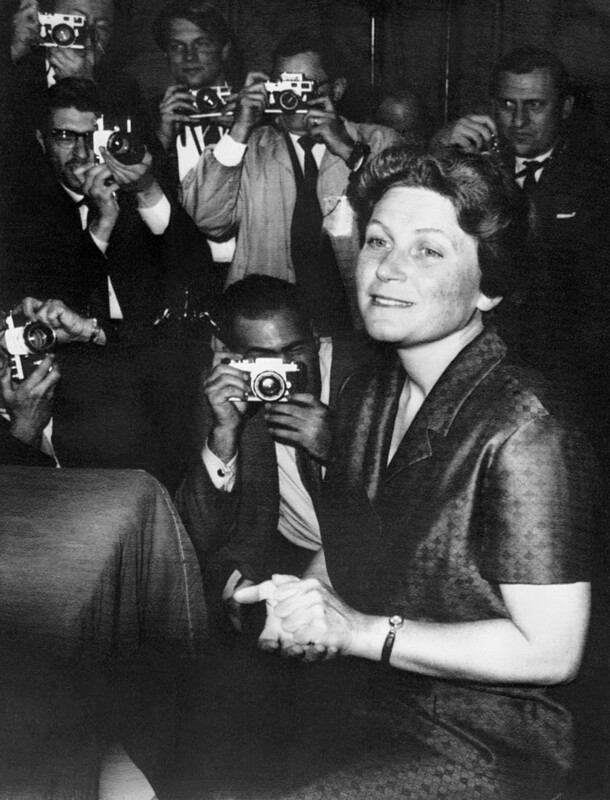 There she defected to the U.S. embassy, leaving the USSR (and her two children) behind. Svetlana Alliluyeva gives a press conference in New York City, USA. Svetlana became one of the most famous Soviet defectors who fled to the West. Alliluyeva led a long life, dying in 2011. She published her memoirs on Stalin Twenty Letters to a Friend, as well as some other books. She married one more time and gave birth to a daughter who’s now living in the U.S., but it seemed the ghost of Stalin was always haunting her. “Wherever I go – I’ll always be a political prisoner of my father’s name,” Svetlana used to write. Struggling with the facts: How terrible was Stalin’s Terror?